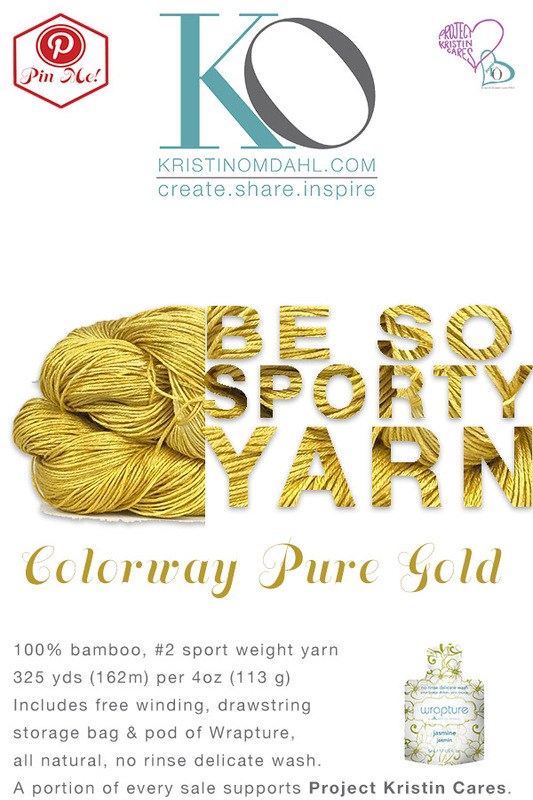 Spring is right around the corner and what better time to share bright and fresh colors for your knitting and crochet projects. 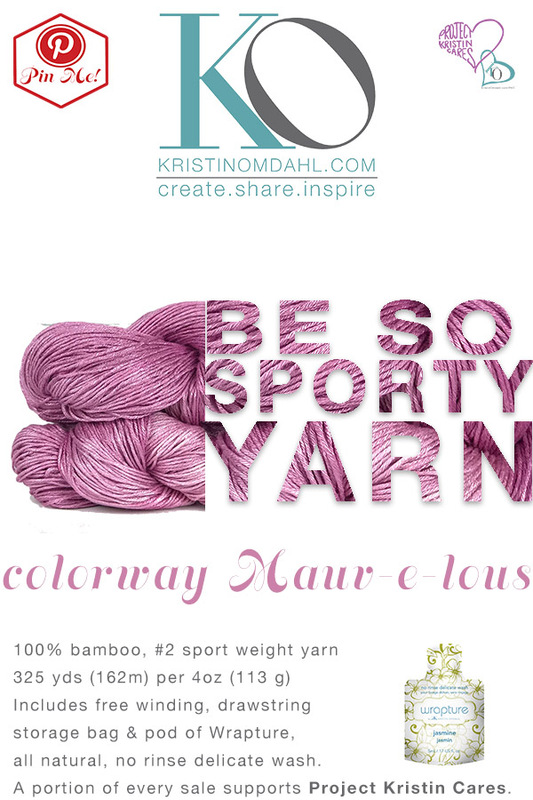 Some of these colors are best selling favorites, and some are brand new! 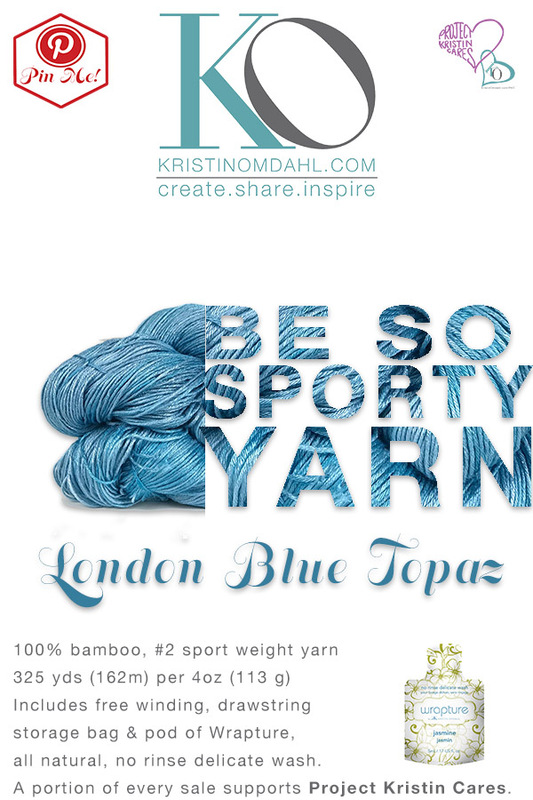 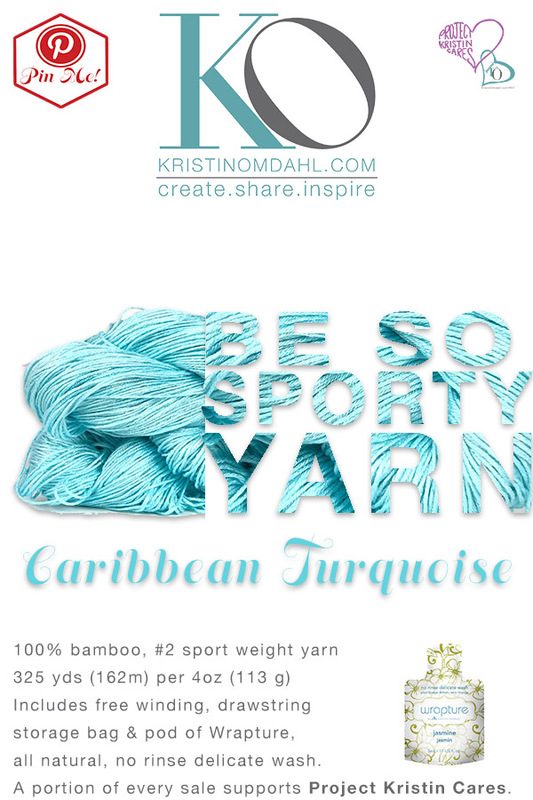 Be So Sporty Yarn is 100% bamboo, #2 fine sport weight yarn. 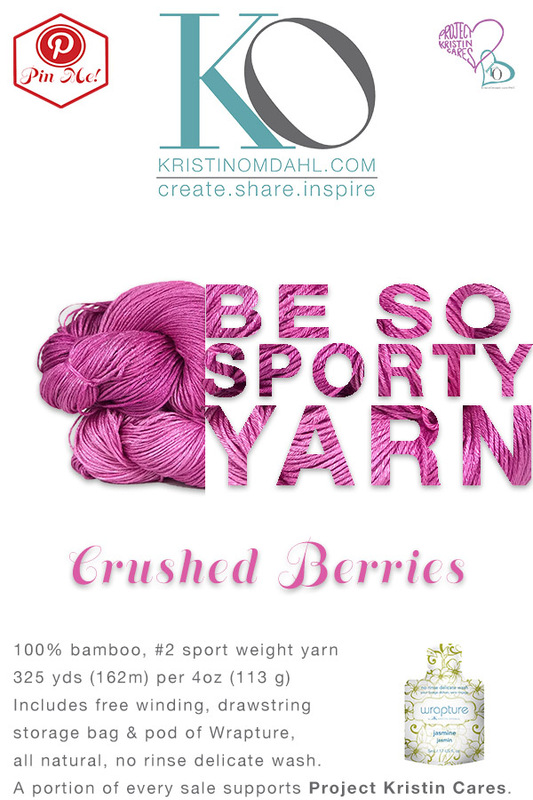 Each hank is 325 yards (297m) per 4oz (113g) and comes wound in a center pull ball. 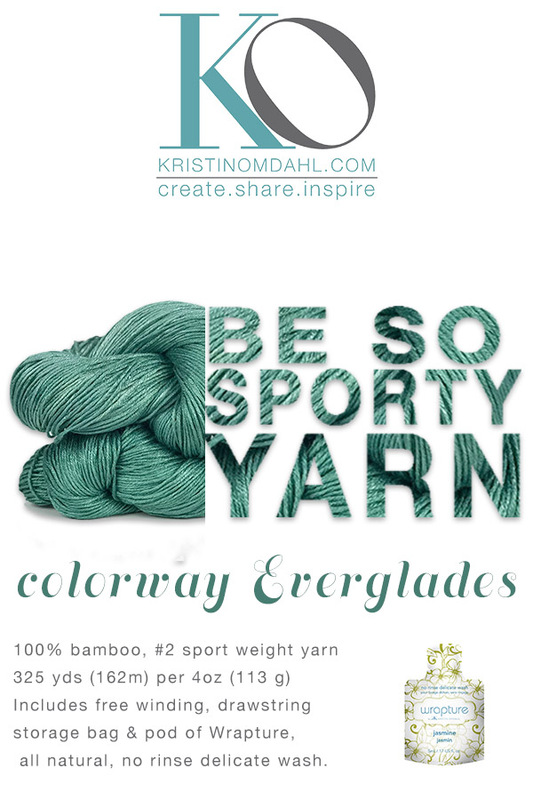 Each order comes in an organza drawstring storage bag with a pod of Wrapture all natural, no-rinse delicate wash.
Each of these beautiful colors is hand dyed in Kristin's studio in Bonita Springs, Florida. 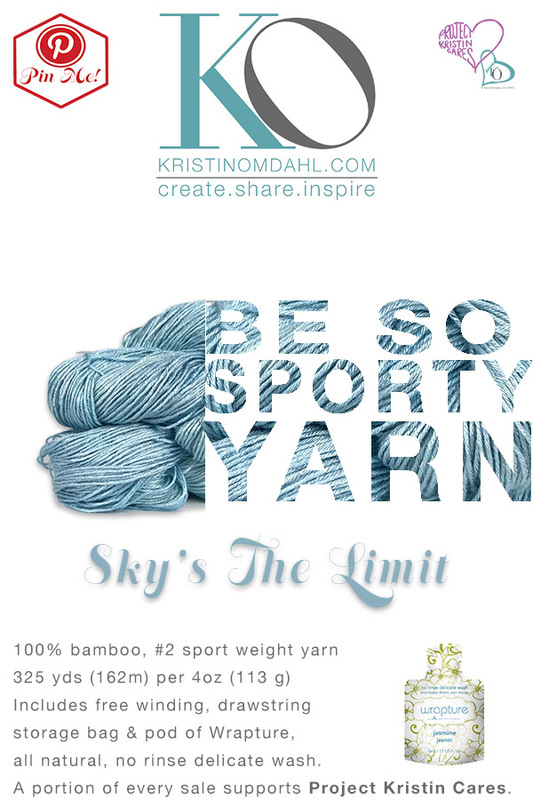 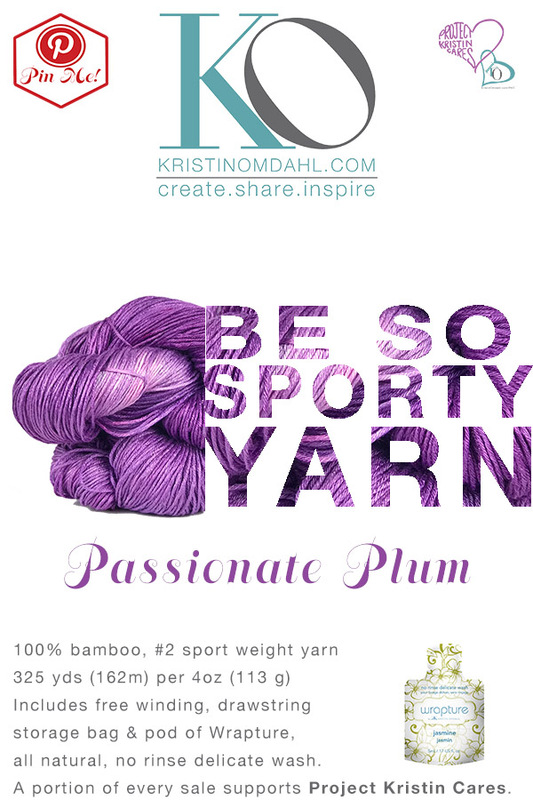 What would you love to make in Be So Sporty Yarn? 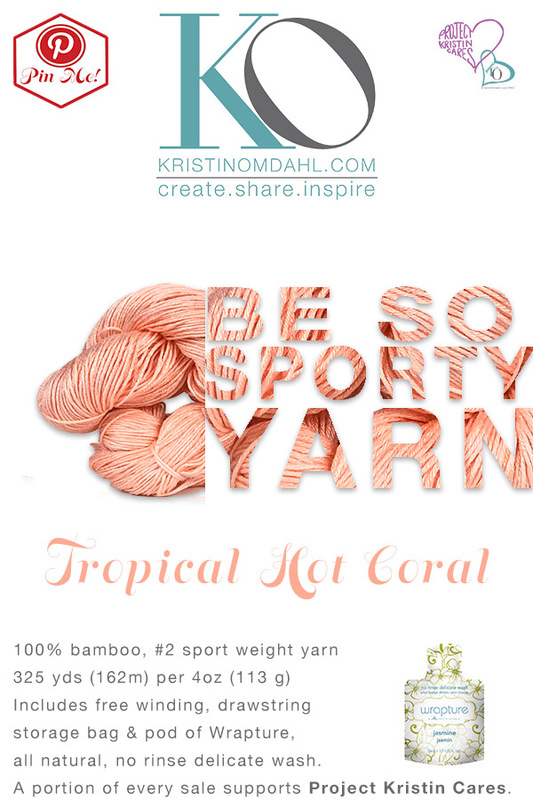 Click on any of these images to view larger.